Best Buy has a very limited stock of PlayStation 4s. UPDATE: As expected, Best Buy's stock has been devoured. Have you thought about picking up a Wii U? 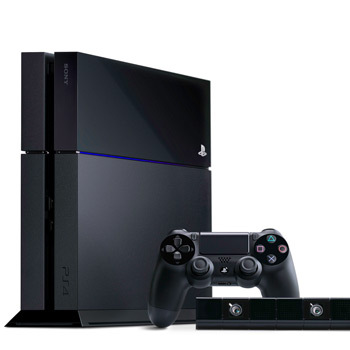 If you're trying to snag a PlayStation 4 before the holidays, you might be in luck. Best Buy currently has a small stash available. But before you throw on a scarf and rush to the nearest Best Buy, you should know that the inventory is only available online, and must be shipped directly to the customer. So, you may not get the kind of immediate gratification that you were hoping for, but at least you'll be able to play Killzone: Shadow Fall. As usual, you should expect these consoles to sell out very quickly. The last time Best Buy came into a stockpile, the consoles reportedly sold out in about 20 minutes. So, you obviously don't have a ton of time. Recently, Sony has been accused of creating an artificial PlayStation 4 shortage, but SCEA president Jack Tretton denies the allegations. "I get asked a lot if we've created an artificial shortage in order to create a feeding frenzy, and the answer is no," he said on the PlayStation Blogcast. "We have competition out there and there are lots of things that people can spend money on. The holidays only come around once a year, so that's when we really want to take advantage of the market opportunity." If you have read this entire article, the PlayStation 4s are probably already sold out. Sorry. Sometimes I just can't stop writing.